We cannot hide from what we fear to go through in life any more than a child who, hiding under his bed covers at night, can outrun the boogey man that reaches out for him in the dark of his own fearful imagination. Before we can learn to free ourselves from our own fearful reactions to unwanted events, we must realize just how worthless fear actually is -- especially when we turn to it to protect us from what are essentially bad dreams wrought from the darkened works of our own imagination! When it comes to these stormy moments in life, what we resist always persists. In truth, it is our not wanting to be in a psychological storm that produces the very storm of unwanted feelings that we don't want! One of the things that makes uncertain times so hard to bear is the flood of fearful feelings that seems to travel with them, like hard rains we are sure will soon fall from a distant, dark cloud on the horizon. But such fear is neither a natural nor necessary part of uncertainty, and this you can prove to yourself if you're willing to be a conscious storm watcher. What does it mean to be a storm watcher? Whenever conditions occur that look like they are front-runners of a storm of some kind, choose in that same moment to sit back and become quietly aware of yourself. Watch how the newly formed, agitated thoughts and feelings within you want to drag you into dark imaginings in order to produce the storm clouds of some scary "maybe." Each time you can awaken yourself from this self-produced nightmare and pull the curtains closed on its performance, you will reclaim your natural confidence and calm. Just as the eye of a hurricane doesn't exist without the great winds that circle it, neither does that dark or troubled sense of "I" exist as the temporary center of our struggling self without all of the negative thoughts whirling around it. We already know that the conditions that produce physical storms always pass naturally, and that when they are gone, so too is the storm they produced. Now it's time for us to learn that the same holds true for any of the psychological storms that shake us. Not only can we discover the secret of how to let any of these inner storms pass through us without fearing them, but also if we will do our part in waking up to, and letting go of, the unconscious conditions within us that create these storms, then we have learned the secret of how to end any storm before it begins! 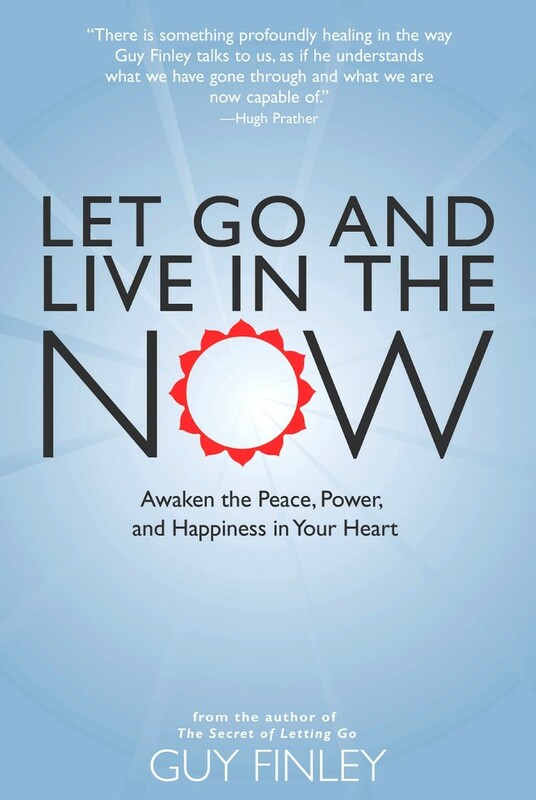 Excerpted From: Let Go and Live in the Now: Awaken the Peace, Power, and Happiness in Your Heart, pages 105-106.